What is the muscle that causes crows feet? The muscles that cause crows feet are the orbicularis oculi and the smiling muscles: levator labii superioris, zygomaticus major and minor. Here is a picture of these facial muscles. When we try to improve crows feet with botox, these are some of the muscles that we try to weaken to decrease the formation of wrinkles. Botox is injected in the sides of your eyes in the skin to weaken these muscles. By doing this, we make the muscles weaker so they are less likely to form these dynamic wrinkles. Dynamic wrinkles are the wrinkles that show up when you move the muscles of your face. They are more pronounced when you move your facial muscles. Static wrinkles are the wrinkles that are so etched in that they are present when you are not moving your facial muscles of expression. Dynamic wrinkles are mostly effected by the actions of botox. Over time, with continued use of botox, the static wrinkles can become more improved. This is done because with botox, eventually allows the skin to remodel and reduce the static wrinkles. This action of improving the static wrinkles however takes a long time and requires regular and consistent use of botox. Posted in Botox, Dysport, Botulinum, Dermatology, Fat Transfer / Fat Injections, Fillers / Facial Fillers, Wrinkle Treatment, YoungVolumizer | Comments Off on What is the muscle that causes crows feet? What are the options to improve those angry lines in between the eyebrows. Well I will talk about the lease invasive type to the most invasive types. To begin with skin care is a good place to start. I would always start with a good skin care line. I would suggest a alpha hydroxy toner, gentle cleanser, alpha and beta hydroxy acid lotion, a retinoid and regular superficial peels. The goal is to decrease the number of days the skin takes to turnover from the usual 28 days to 10-12 days. This will help to freshen the skin, lighten brown spots, and decrease fine wrinkles. The next progression is botox. This neuromuscular agent will keep the muscles from working in between the eyebrows and decrease the dynamic wrinkles. Over time as your skin remodels, your static wrinkles can improve with continual use of botox on a regular basis. The drawback is the repeated treatments that are neccessary. The positives is the low invasive nature. The next level is fillers. Restylane, Juvederm, Perlane, Radiesse, can decrease the wrinkles by volumizing the glabella and the area in between the eyebrows. Volume loss plays a large part in this area. 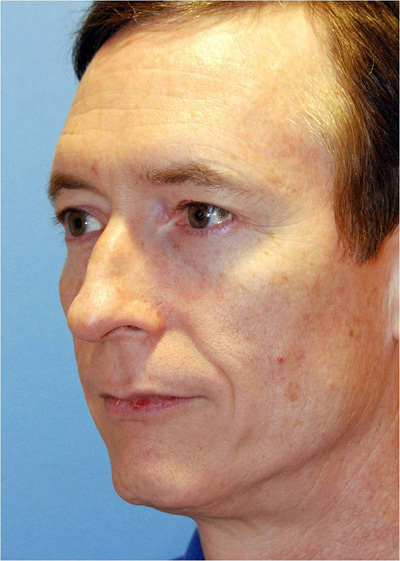 As this area deflates, more skin in relation to the area leads to more wrinkling. Also, the decrease in volume places the skin closer to the muscles in this area and allows the muscle to place more influence on the skin and hence more dynamic wrinkling. Fat injections is the next level in volumizing this area. This increases the invasiveness but fat injections can be a more permanent option to filling this area and rejuvenating the glabellar area. Our more permanent solution is called the YoungVitalizer the breakthrough incision less facelift alternative. A browlift can also help by elevating the eyebrows and increasing the distance between the eyebrows. Also during a browlift the muscles that make the wrinkles in this area can also be resected and taken away from the area. 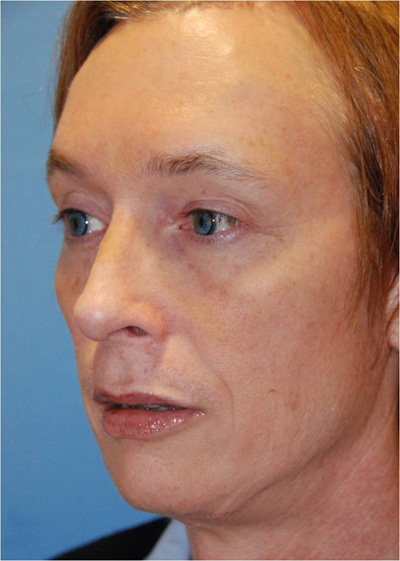 This debulking of the glabellar muscles can also be done from the eyelid incisions. Another way of decreasing the action from these muscles is to cut the nerve to them through an eyelid incision. One issue when taking the muscles from the glabellar area is that it can increase the volume loss to this area and lead to more relative extra skin. This can lead to more static wrinkling to this area and when the muscles come back more dynamic wrinkling that can occur. In my opinion fat injections to the whole forehead, and in between the eyebrows is the most natural way of rejuvenating this whole region. Also the fat injections with their stem cells can lead to skin rejuvenation. The other effect of the fat is to increase the distance of the muscles from the skin which can decrease the influence of the muscles on the skin which can allow the skin to remodel on its own and improve static wrinkles. This occurs because the skin has little cells in the skin layers that always remodel skin on a minute by minute, daily basis. To change the surface of the skin, a chemical peel, dermabrasion, dermasanding, and laser resurfacing can decrease the wrinkles in the glabellar area. I always suggest volumizing before resurfacing and reshaping through reductive type of procedures like browlifts, eyelifts, and facelifts. How painful is dermabrasion? How would you rate the pain level? What are some anesthesia options for dermabrasion? Intense Pulse Light is a procedure where a wire brush is used to take down superficial and deeper layers of the skin to reduce scars, improve wrinkles, decrease pigmentary problems, etc. It works under the same principle as Usually dermabrasion is not done without some type of anesthesia. The types of anesthesia include local, regional, oral / iv sedation, general anesthesia. Most physicians use a combination of above to do dermabrasion. If it is a concentrated area like a scar, local anesthesia can be the only thing needed depending on the normal anxiety levels that a person usually gets in this type of situation. If the person is likely to get anxious than oral or iv sedation can help. For the whole face and larger areas, some type of whole body sedation through oral or iv sedation is helpful. Regional anesthesia where the nerves are anesthetized can help the whole situation. Posted in Dermatology, Laser Resurfacing, Scar Removal / scar reduction / scar revision / scar treatment, Wrinkle Treatment | Comments Off on How painful is dermabrasion? How would you rate the pain level? What are some anesthesia options for dermabrasion? Fillers, Botox or Lasers for the Under Lower Eyelid Area? Restylane is a filler and can be used to fill in the lost volume that is really the cause of the majority of the reason why your lower eyelid looks the way it does. Fat injections, the YoungLift, Juvederm, Perlane, Radiesse are other fillers that can be filled into the lower eyelid area. The temporary fillers last from 6 months (restylane) to a year or more (radiesse) with perlane and juvederm in between. Fat injections can last much longer but this isn’t guaranteed but is the best shot for a long term correction. Botox prevents the muscle around the eyes from squinting which can make the wrinkles less noticeable. Dysport (or botox / bo tox / botulinum / neurotoxin / disport) is a great option. But these do nothing for the surface quality of the skin and neither does the filler. But the fillers can decrease the amount of wrinkles by filling up the volume. This is where the co2 laser or other resurfacing procedure (erbium yag, active fx, ultrapulse, deep fx, max fx, total fx, traditional co2 laser resurfacing, laser peel) can help with by decreasing the wrinkles and actually tightening the skin. A small amount of volumizing also occurs with lasers with their creating of a thin collagen layer deep to the skin. Posted in Botox, Dysport, Botulinum, Chemical Peels, Fat Transfer / Fat Injections, Fillers / Facial Fillers, Juvederm, Perlane, Radiesse, Restylane, Wrinkle Treatment, YoungVolumizer | Comments Off on Fillers, Botox or Lasers for the Under Lower Eyelid Area? 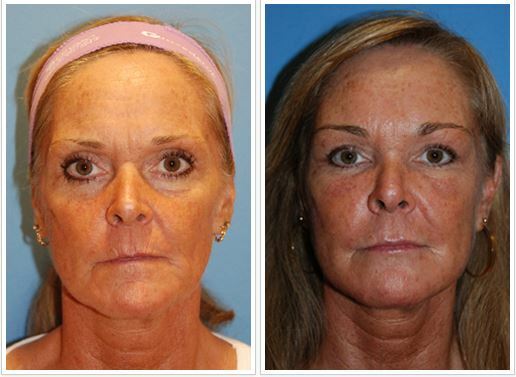 There are many questions out there regarding an alternative for a non surgical facelift. There are ways to tighten up your face without making incisions. One way to do this is to undergo a laser resurfacing. We have the lumenis Laser Resurfacing unit and this is proven to be the best one out there on the market. It is the safest and most versatile of all co2 laser units and this can improve your skin by decreasing the wrinkles, improving skin texture, decreasing pore size, tightening the skin and creating collagen under the skin surface to create some more youthful volume. 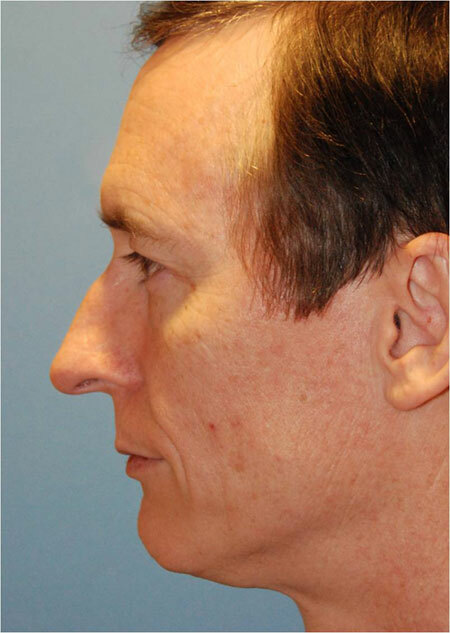 Co2 laser resurfacing can tighten your neck skin and laxity as well. One thing to remember is that the tightening from a non-surgical face lift with co2 resurfacing will be subtle as compared to a facelift but you can get some results from this. The other options include using Botox , fillers, and fat injections that don’t require incisions. Botox / Dysport is a neuromuscular agent that can make certain muscles weaker that helps decrease wrinkles that are from muscular contraction. I have a youtube video to show where you can have botox and how it can help. When you age you tend to lose volume and this can be replaced with fillers that require injections as an option for a non surgical face lift. Facial Fillers are usually temporary, at least the safer ones and last from 6months to a year or more. Restylane, Juvederm, Radiesse, Perlane are some options. These modes can be used for the wrinkles between the eyes called the Glabellar region, for the dark circles under the eyes, forLip Augmentation, and many other issues in the face. 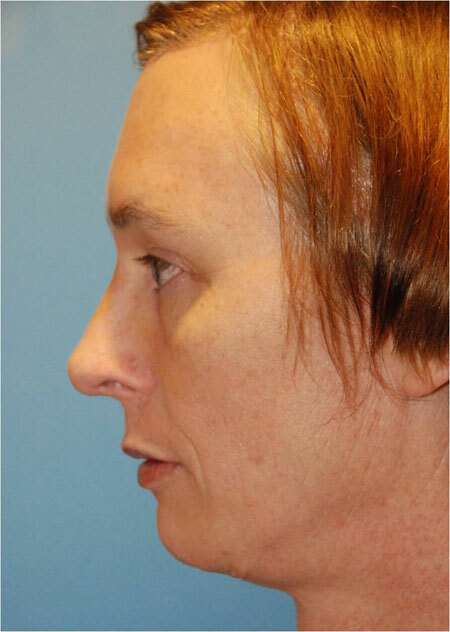 Fat injection are another option for a non-surgical facelift and related to this is the YoungLift which I have refined. Does a procedure that works on the corrugators help with bunny lines? Your bunny lines are created by the levator labii superioris and transverse portion of the nasalis muscle. Botox is probrably the best thing for this. Other surgery to affect the muscles here would likely change your smile too much and might be possibly disfiguring. The corrugators run from the middle part of the your eye bone and insert into the middle part of your eyebrow. Manipulating the corrugators improves the wrinkles between your eyes. Surgery to improve this done and has been done quite a bit. The corrugators can be manipulated from an eyelid crease incision or through forehead incisions when you do a Brow Lift. Posted in Browlift / Eyebrow Lift / Brow Lift, Wrinkle Treatment | Comments Off on Does a procedure that works on the corrugators help with bunny lines?